Robert Garcia, the older brother and head trainer of four division champion Mikey Garcia (39-1, 30 KOs), says his brother is doing well after suffering the first defeat of his pro career. 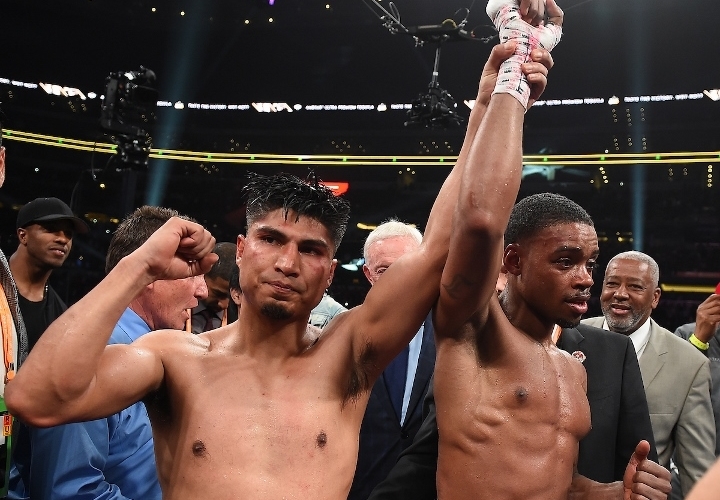 On Saturday night, at AT&T Stadium in Texas, Mikey tasted defeat when he was dominated over twelve rounds by IBF welterweight champion Errol Spence. After the contest was over, Mikey lost every single round on all three of the official scorecards. Mikey still holds the WBC lightweight world title. He took a big risk by moving up in weight by two full divisions to face a boxer regarded as one of the best, if not the best, of the weight class. "It's pretty sad, its bad for the family. Mikey has always been the undefeated fighter of the family, the one that nobody thought would ever lose. That was our mentality, but he's in good spirits. We prepared well for this fight, but Errol Spence was just the better man, and Mikey accepts it very well," Robert Garcia told TMZ. "Mikey was very sure that he was able to do his very best and handle Spence's power, but it was just not enough to win the fight." Now Mikey has a decision to make regarding the future of his career. Does he go back to 135 to defend his belt, drop down to 140 or remain at 147? His older brother would prefer to see him at 140, but also feels there are winnable fights at 147. "Mikey has quite a few options. I would say a move down to 140 would probably be the best option. There are fights at 147 that he could take, if he decides to stay at 147," Robert Garcia said. "I know its not going to be very easy to get back to 135, especially after building up some muscle to get up to 147. So I would say 140 would probably be best for him, that would be my advice. But if he decides to stay at 147, he can compete against any of the other champions. Errol Spence was just the best."